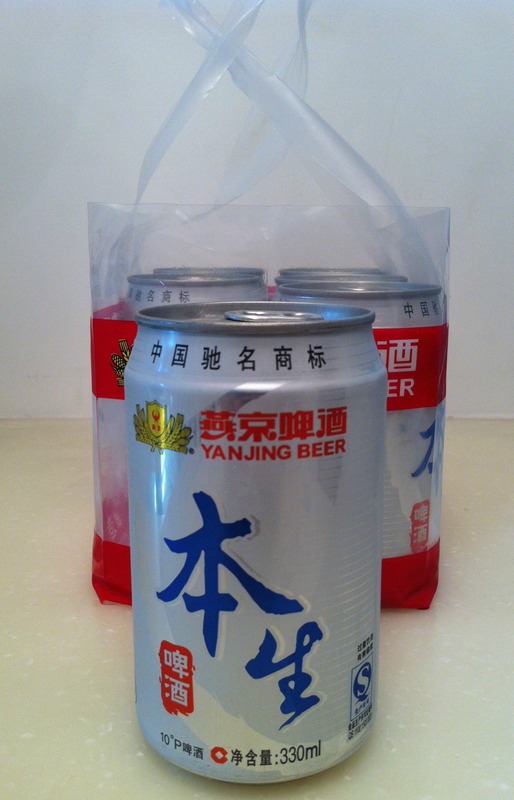 Day 73 in Beijing: Beer or Soapy Water? You Decide! 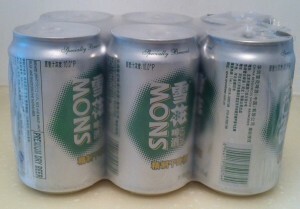 You can buy a 500 ML can of beer from the 7-11 for about 75 U.S. cents. Compare this to a U.S. 7-11 where it would be about $2.50. You can buy a 300 ML can of beer from the local Wu-Mart for about 20 cents American. Compare this to a 300 ML can of beer from a local grocery store in America where it would be about a buck and you would have to buy them in a 6 pack. Beer is incredibly cheap and readily available. Notice I didn’t say inexpensive because it is not. It is cheap. Inexpensive means you get a great deal on something that is worth a lot more than you paid for it. Cheap means that it isn’t really worth a lot of money. And that is why beer here is cheap. I decided to do a little taste test of these beers. Snow beer. Up close and personal. 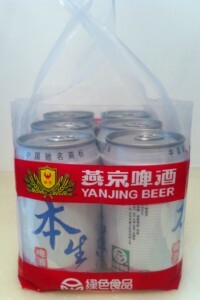 Yanjing beer. Up close and personal. It was clean and clear, however, it tasted more like soapy water. Mind you, that is the finest Beijing soapy water available. It was clean, clear and tasted like beer flavored water. Then again, the bar was set pretty low. Pun intended. 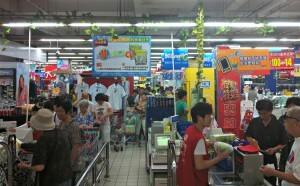 No carrying case like Yanjing. Losing. It tasted more like Coors or Bud. Neither of which do I drink in America since I like more full bodied beers and try to stay with the local breweries. These beers definitely don’t compare to my favorite local Beijing brewery, Jing A Brewing Company. The Jing A Keg Egg. 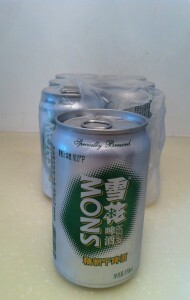 Excellent Beijing beer! The Jing A beers are tasty, full flavored and hand made at the brew pub. The owners and brewmasters, Alex and Kris, are wonderful dudes. 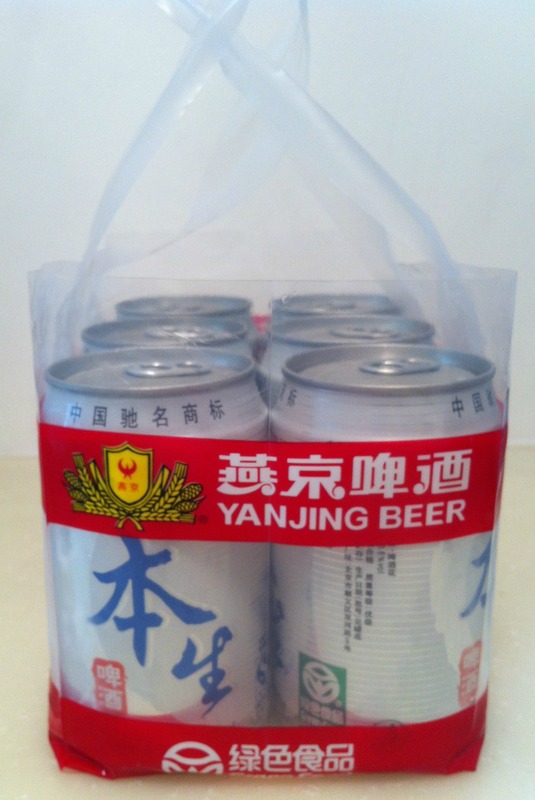 Their beer is about 35 RMB, or 5 bucks American, and worth every penny. They also are served in one of my favorite restaurants, The Big Smoke, which I’ve posted about in Day 57 in Beijing: Jill Arrived Today. 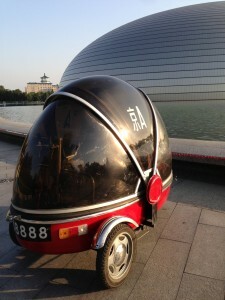 By the way, they have a Jing A Keg Egg that will hit the streets of Beijing on August 17th. I will definitely follow it around and do a blog post about it!